Home office is a must have forof many people. This is a place where they can focus on work or just put their thoughts in order. 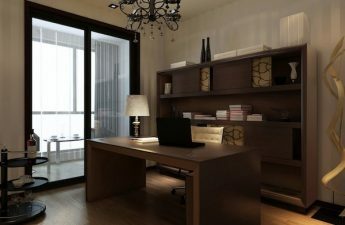 However, in most cases, the limited space of the house does not allow to allocate a separate spacious room for an office. You have to improvise. 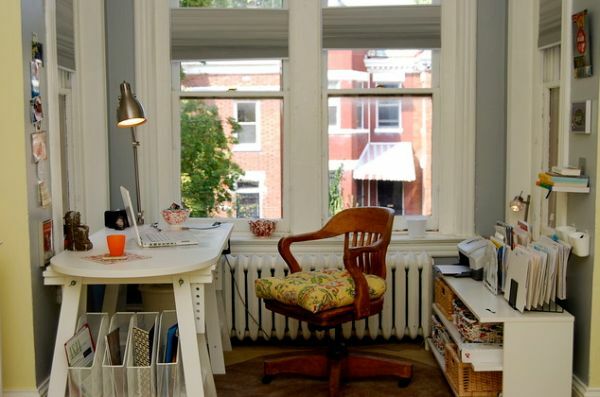 Even in a small apartment, you can create a comfortable working area, if you organize everything correctly. 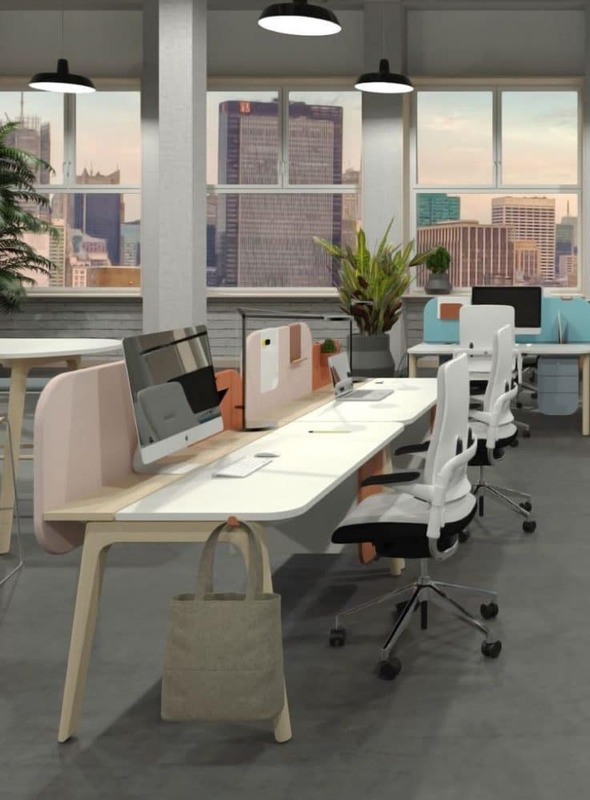 Here you will find some ideas on the design of a mini-office. We hope they will be useful to you and wake up your imagination. Here is a tiny office, in fact it is only a computer desk, but there is no feeling of tightness. 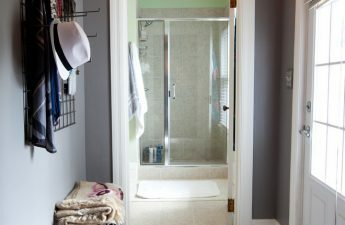 The key to success is the simplicity of the decor and the rational use of space. The workplace consists of a small table and a chair. 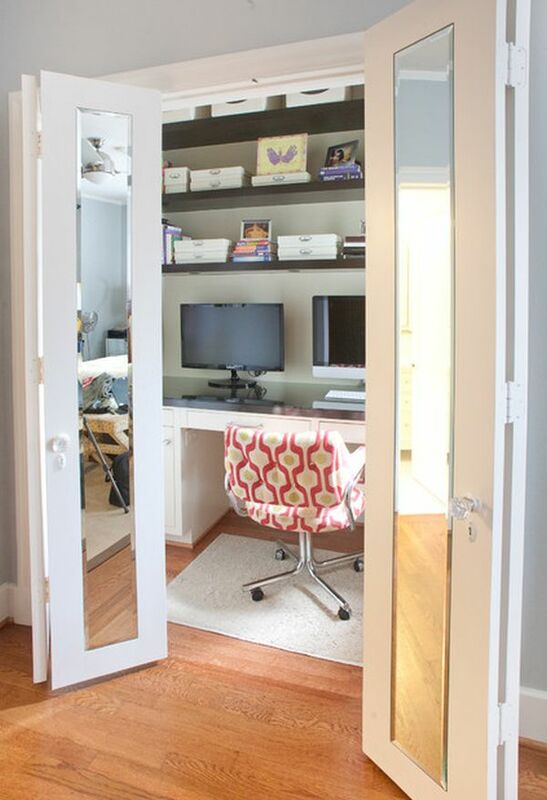 The closet in bright colors with a beautiful archway complements the decoration. Very good solution, is not it? Another example of a cozy place to work. The room is narrow, so the way out was an L-shaped table. 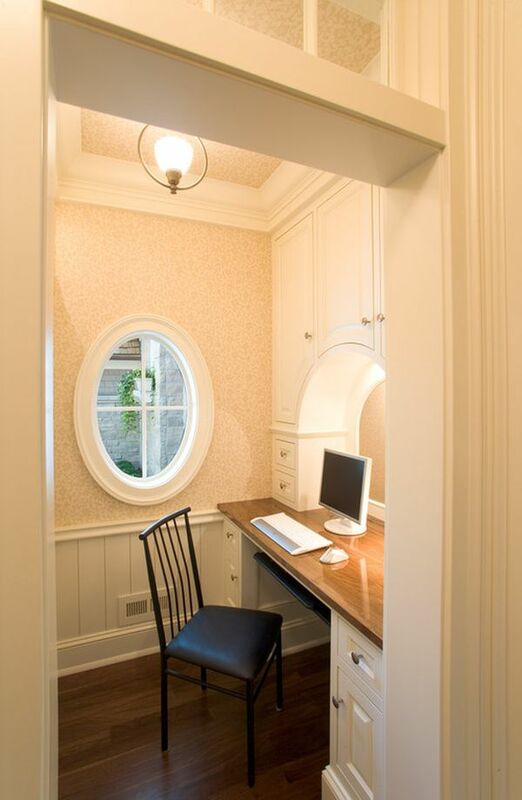 It is convenient to write and work at the window, and on the right you can store papers and everything you need. Again we see a cupboard with an arched opening. Light polished furniture visually enlarges the room, bright details attract the eye. 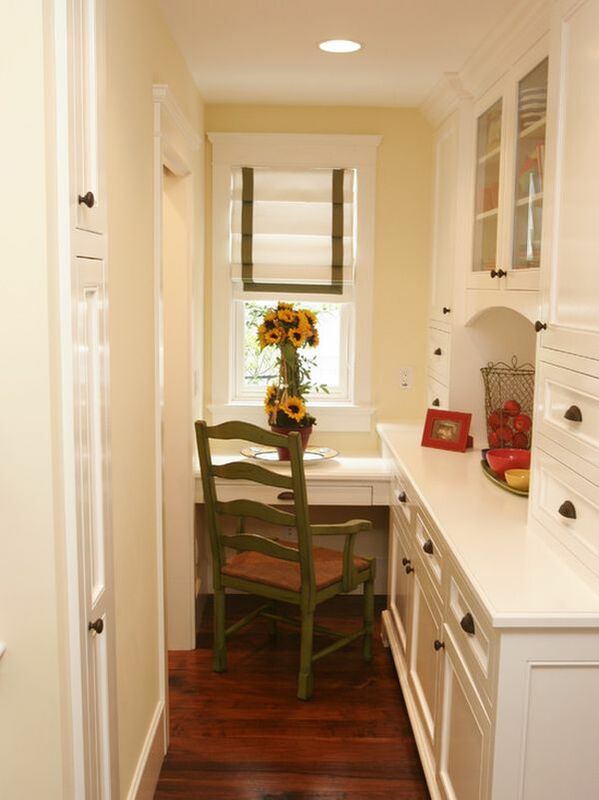 This corner is quite appropriate in the kitchen in country style. This office is bigger, but also small. In the corner is built quite a spacious table with side tables and drawers for storage. But even more books and documents can be placed in the lockers and on the shelves of the upper tier. It turned out quite functional home office for permanent work. In this corner there is a creative mess. Despite the fact that there are no obvious attributes of the office, the problem of storage is still solved. Pay attention to the open shelves and paper bins. 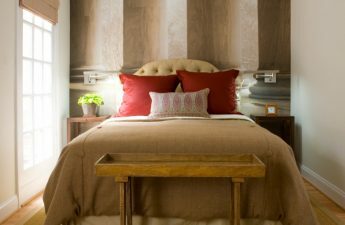 Some eclectic and relaxed interior design creates a relaxed atmosphere. This home cabinet is hidden in the closet. What else is left to do if there is very little space? It is located quite comfortable desk and shelves. True, there is no window, but this can be corrected by additional lighting. When there is no need to work, the doors can be kept closed. We hope that you have found a suitable option for yourself. 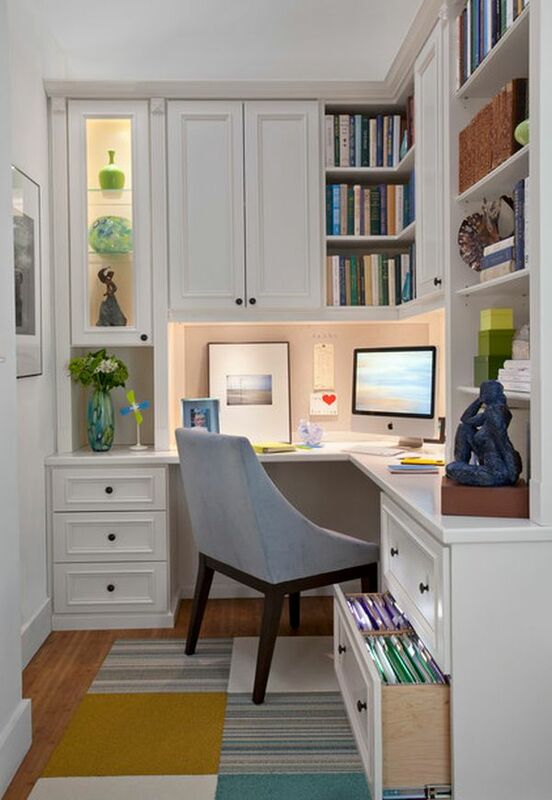 We wish you to create your comfortable little office for work at home. Making a small office in the apartment - how to do it?